Is The Men’s Hillmaster 2 Gore-Tex Walking Boots Tough Enough? 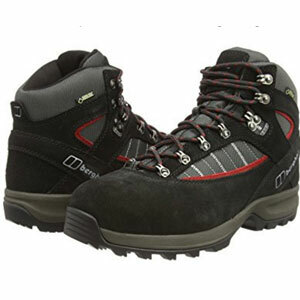 The Berghaus Hillmaster 2 GTX Walking Boots look as though they mean business. This is a large shoe that looks like it should be able to handle rough terrain and weather thanks to the thick sole and copious amounts of leather around the uppers and ankles. This lace up boot also looks fairly stylish with the simple two-tone design in either chocolate or coffee brown. The specification sounds great for those heading out on long treks, but does it do enough. Are The Berghaus Explorer Trek Plus GTX Men’s Hiking Boots Tougher Than They Look? The Berghaus Explorer Trek Plus GTX Men’s High Rise Hiking Boots doesn’t immediately look like your typical pair of hiking boots. There is a nice design to these boots that ensures that they are pretty eye catching from the start. There is a nice use of suede on the upper in a dark black or navy, that contrasts with the grey synthetic areas, grey sole and metal hooks for the laces. 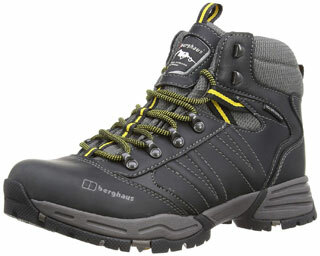 Are The Berghaus Hillwalker II GTX Men’s High Rise Hiking Boots As Functional As They Are Smart? 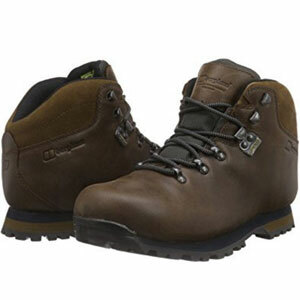 The Berghaus Hillwalker II GTX Men’s High Rise Hiking Boots are a smart looking pair of hiking shoes that will appeal to many people that prefer a strong leather shoe over the more modern designs with synthetic fabrics and bright colours. It is a classic look, with minimal design features, and some simple branding on the chocolate brown full-grain leather. The immediate impressions are great, and the specification continues to suggest that there is a lot going on with this shoe to appeal to keen hikers. Do The Berghaus Expeditor AQ Hiking Boots Live Up To Their Tough Reputation? 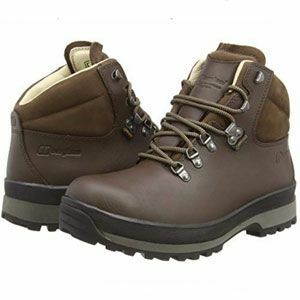 The design of the Berghaus Expeditor AQ Hiking Boots is fairly simplistic compared to some other brands, with little more than some yellow accents or walnut-coloured soles to make them stand out. But the specification shows that they have the materials and construction to make a difference. 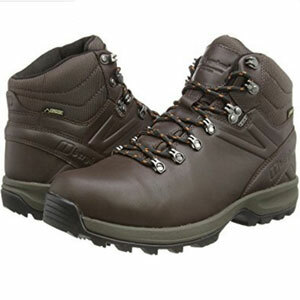 This man-made, lace-up boot, with its waterproof, breathable leather, is said to be an “all-rounder” with comfort and style but does it really tick all the right boxes with consumers?